Evidence is useful whenever you are trying to claim that something is useful or good. The cosmetic and skin care industry has touted the usefulness of vitamin C and its derivatives in skin care for ages. Studies have been done before that have validated the claims, but it always helps to stay on top of recent findings as well. OROGOLD is particularly interested in a recent study and its particular findings. 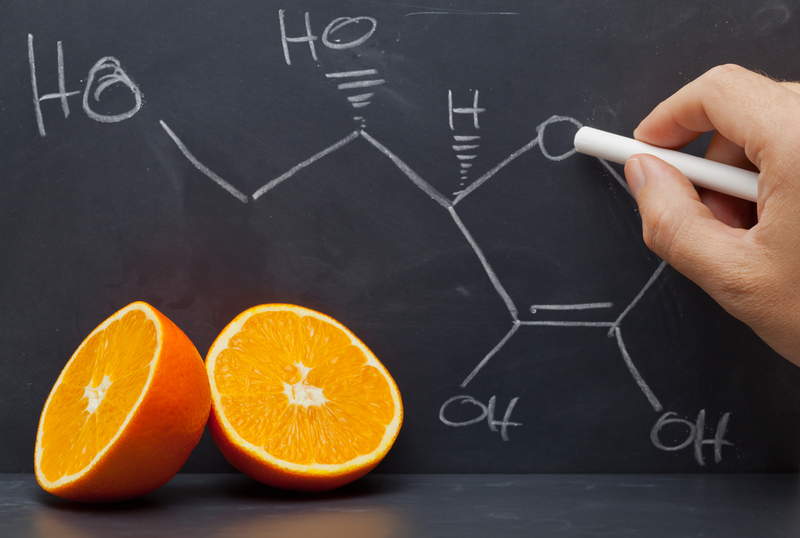 This study focused on the use of two compounds, one a neutral compound and one a vitamin C-based compound, to determine the exact efficacy of the vitamin c compound. The results support what we’ve known all along, but a closer inspection is merited. In the event that you don’t know, the neutral compound used in studies like this is known as a placebo. There is a wonderful benefit to being human that occasionally gets in the ways of getting accurate results otherwise: it is hard for us to disbelieve what we believe. As a result, the study lowered the chance of a false positive by including the placebo to measure any baseline improvement from believed skin treatment against improvement from the vitamin C formula. They further tried to bypass the subjective beliefs of the test group members themselves by using an ultrasound imaging process to measure the change in the skin rather than opinion. Not unsurprisingly, the researchers got results. Researchers found that the application of a revitalizing vitamin C based product improved the production of collagen within the skin of those who participated. The results were statistically significant. This phrase translates roughly to the idea that it is highly unlikely that the results are in any way “white noise” from testing. This more or less validates everything OROGOLD and other skin care companies have been saying all along. Vitamin C’s topical application helps firm and rejuvenate skin through increased collagen production. It should be noted that the researchers were not testing for any of the tone evening properties associated with vitamin C products though. As this was not tested, this particular study has nothing to say on that property. This does not invalidate the use of vitamin c-based products for such applications though. Age actually factored into how great of a response skin demonstrated to the use of a topical vitamin c product though. The women in the test group between the ages of twenty and thirty-five demonstrated the most noticeable growth in collagen production. This makes perfect sense due to their younger age meaning their skin was more open to the prompting by vitamin C. However, the improvement to collagen production was noticeable across all age groups and the test group included women of up to the age of seventy-five. What this tells us the most is that proper skin care starts at a young age and should continue throughout life for the best results possible. It will always be better to have been taking care of your skin all along instead of trying to play catch up and heal damage later in life. The study isn’t the most exciting thing in the world of skin care, but if OROGOLD doesn’t pay attention to new research then we can’t continue to bring you quality products. One thing to note about this study before we’re done though is that all participants in with were Caucasian women, and as a result there is no clear data for other ethnic groups in this study. Human skin is human skin though and more than likely many differences between ethnic groups would likely be small. Vitamin C products remain a good way for any woman to revitalize her skin. Is Collagen Really Good for Your Skin?